OneDesk’s workflow application was designed, as usual, with your feedback in mind. The new and improved version allows you to easily create workflows that solidifies your team, processes and project data. Where is the workflows application? 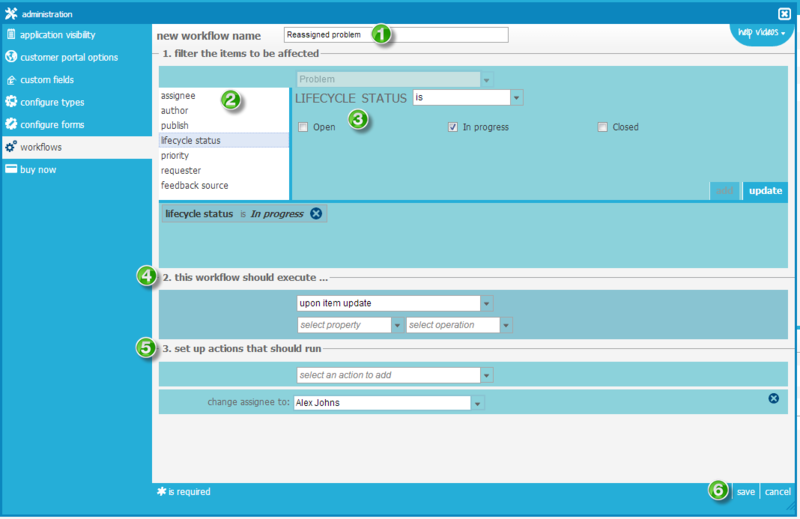 To get to the workflows application, go to Administration and select Workflows. This means that in order to be able to set up workflows, you need to be an administrator.